Consul General Sissel Hodne Steen, Deputy Minister Ingvil Smines Tybring-Gjedde and NBCC president Rachid Felix. 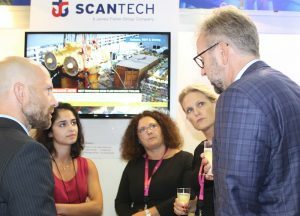 A packed Norwegian pavilion at Rio Oil & Gas 2018 was opened by Deputy Minister of Petroleum and Energy, Ingvil Smines Tybring-Gjedde on September 24, 2018. The 19th edition of Latin-America´s biggest oil and gas event takes place as international oil prices reach record high levels. In Brazil, all eyes are on the fifth pre-salt bidding round, set for Friday the 28 of September, the last under the current administration. Norway´s Equinor are among the 12 companies qualified to bid on the attractive prospects. Equinor´s increasing presence in Brazil has undoubtedly made other Norwegian stakeholders look this way, despite the crisis that hit both Brazil and the international oil and gas sector so severely. 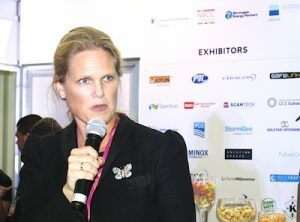 Norwegian authorities are also well aware of Brazil´s importance to Norwegian offshore suppliers, and it was Deputy Minister of Petroleum and Energy, Ingvil Smines Tybring-Gjedde who formally opened the Norwegian pavilion at Rio Oil & Gas this week, as she did in 2016. «I note a different atmosphere, and I am pleased to see so many of you moving out of comfortable offices in Norway and coming here, to the the world´s biggest offshore market. 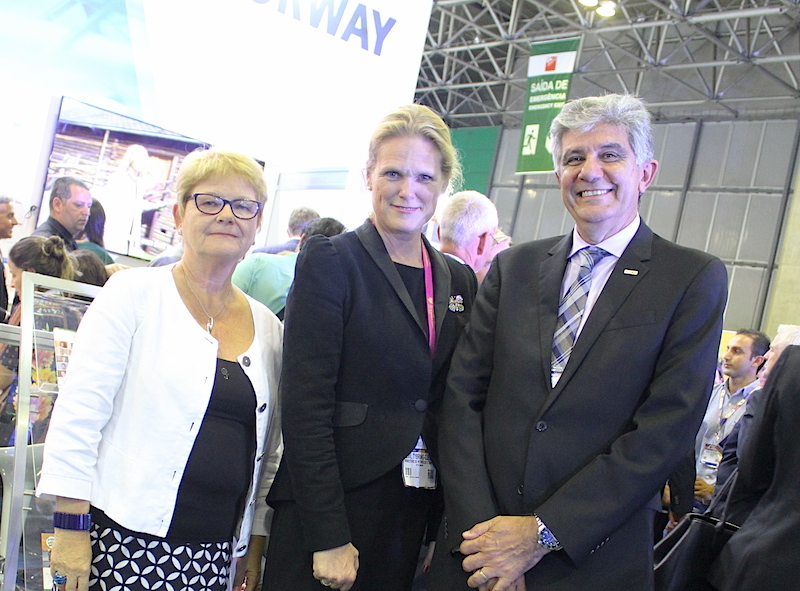 Norwegian industry does have a place in the Brazilian market. I believe it is a win-win situation for all players, and I advise you to use this event and this venue to meet, to talk to each other, to talk to us and to Brazilian authorities», she said. Head of Innovation Norway in Brazil, Mr. Stein Gunnar Bondevik agrees. «The positive atmosphere has several explanations, but the presence of a Norwegian industrial giant that has sent a very clear message to the market that they would like to see more Norwegian suppliers in Brazil, is fundamental. New companies are arriving because they have heard the message, and believe they will find business opportunities here», he says. 22 Norwegian companies are part of the Norwegian pavilion this year, and many of the companies are present at Rio Oil & Gas for the first time. Yinson Production, a company that constructs, owns, leases and operates FPSOs, is one of the newcomers. The company headquarters of operations is located in Oslo Norway, as Malaysian Yinson acquired the Norwegian FPSO company Fred.Olsen Production back in 2014, inheriting contracts and an experienced Norwegian team. Today, Country Manager Lars Eik intends to use some of their recent experiences from their ongoing contract in Ghana, on national content and corporate social responsibility, to initiate operations in Brazil. «We are bidding on some projects, and see a lot of opportunities going forward. It is an exciting, but challenging market especially for a newcomer, but we have received a lot of valuable input from experienced service providers and partners. Yinson is the sixth largest active FPSO operator in the world, but still a relative small company, and we are present here at Rio Oil & Gas for branding and hopefully to open new doors», Mr. Eik says. About 35.000 visitors are expected for this year´s expo and conference. More than 500 exhibitors from 31 countries are present, and the event is 20 percent bigger than the 2016 edition, according to IBP.